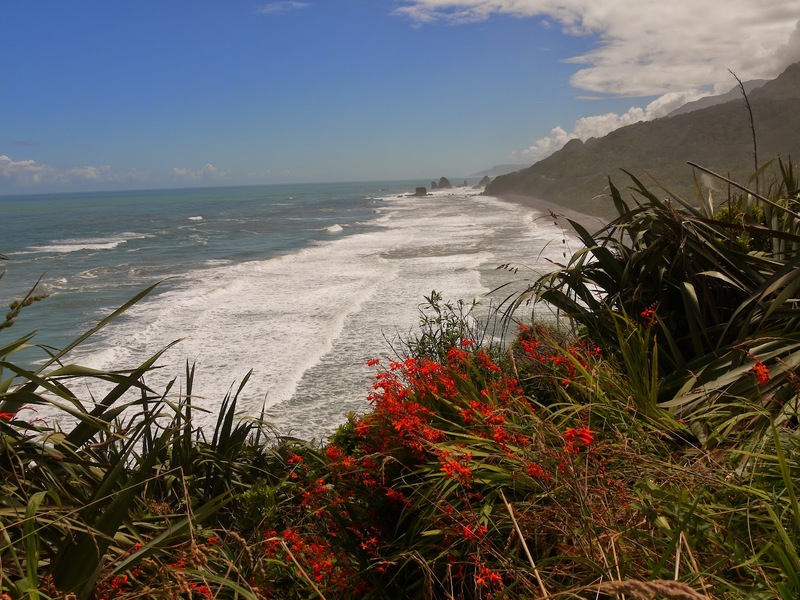 Tess Read: New Zealand - the world's adventure playground! 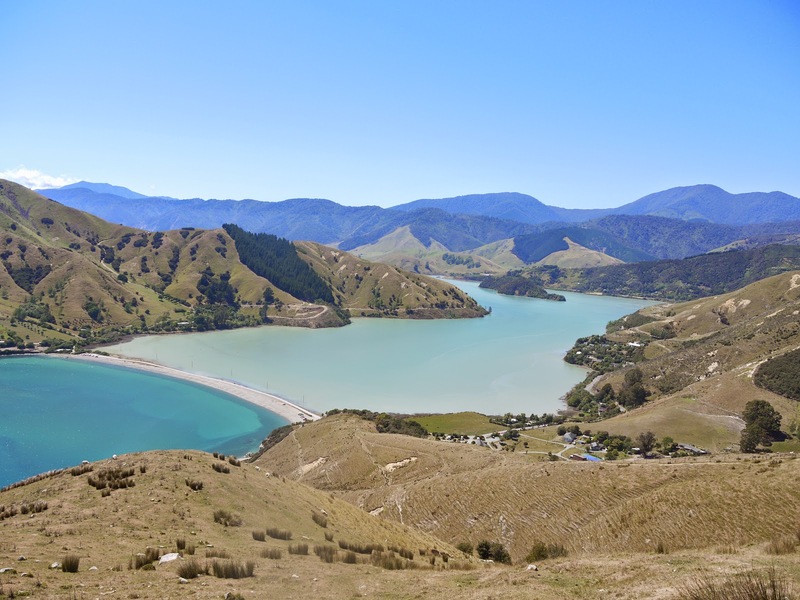 New Zealand - the world's adventure playground! To me, New Zealand is like Switzerland. Like a very big Switzerland with miles of beautiful coastline all around it. But it is nothing like Switzerland I hear you cry - Switzerland is a small, very rich, land-locked country right in the middle of Europe and full of Germans. Whereas New Zealand isn't. Any of these things. True, but what they share is that both are well run countries where things just work. Where roads are constantly maintained, where you don't see beggars on the streets or eyesore developments. Where the natural environment is celebrated over all else, where wildlife is protected and nurtured, where there are miles and miles of empty roads to curve and wind your way up and down mountains, and where children play outdoors and go to school on their own. But New Zealand has the added advantage that, in the land where everything is "as sweet as", the vibe isn't like that of most of Switzerland, only of that tiny most perfect of all parts of perfect Switzerland - Ticino, Italian Switzerland. Where the Swiss natural beauty and super efficient infrastructure meets Italian laidback style, and the combination is just heaven. This is what I found in New Zealand. And the wine here is better too. We arrived in New Zealand just two days before Christmas, and my mum arrived at the same time to join us. 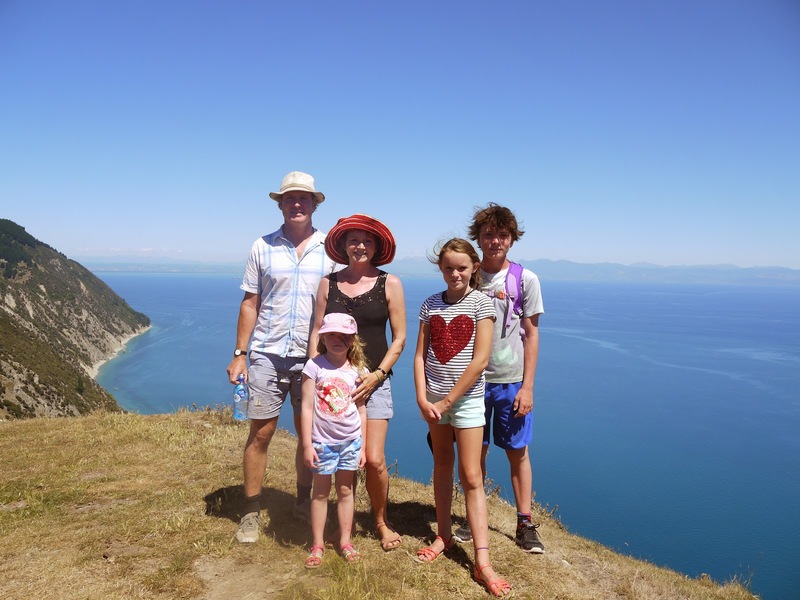 Danny's sister, Tamsin, with her partner and two kids lives here in the town of Whakatane, so I had rented a house near them and we were to spend Christmas and New Year in the "sunshine capital of New Zealand" in the company of relations we so rarely get to see. It was a rare treat. 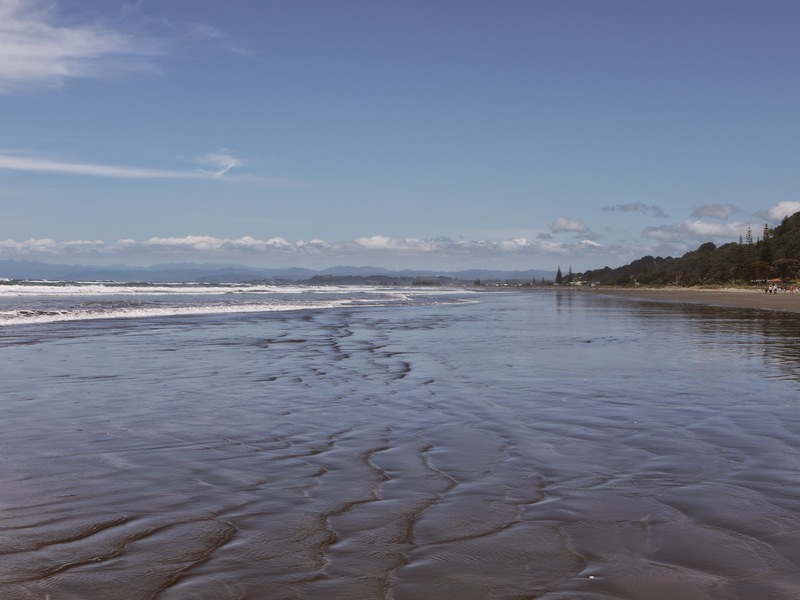 The house was great with an amazing location - the garden melded seamlessly into the beach, and what a beach - Ohope has won a poll as New Zealand's most loved beach, and it's easy to see why. A stunning vast bay stretches out up to a headland in one direction, which we walked around one day to find the secret beach beyond, and then in the other direction it's just a great sweep of beach all the way to the blue mountains and cliffs of the East Cape. The surf crashes in on the sand of the beach constantly and out to sea are the beautiful sights of Whale Island (when you see pictures of it you will see why it has that name) and White Island which is home to the South Pacific's most active volcano, and often puffs away quite dramatically. With my mum we took a trip to Hell's Gate, a centre of enormous volcanic activity which Bernard Shaw when he had visited the area had named it after the gates of hell. It had been an important place for Maoris, now it was a swingeing $120 entry for all of us, but it was worth it. 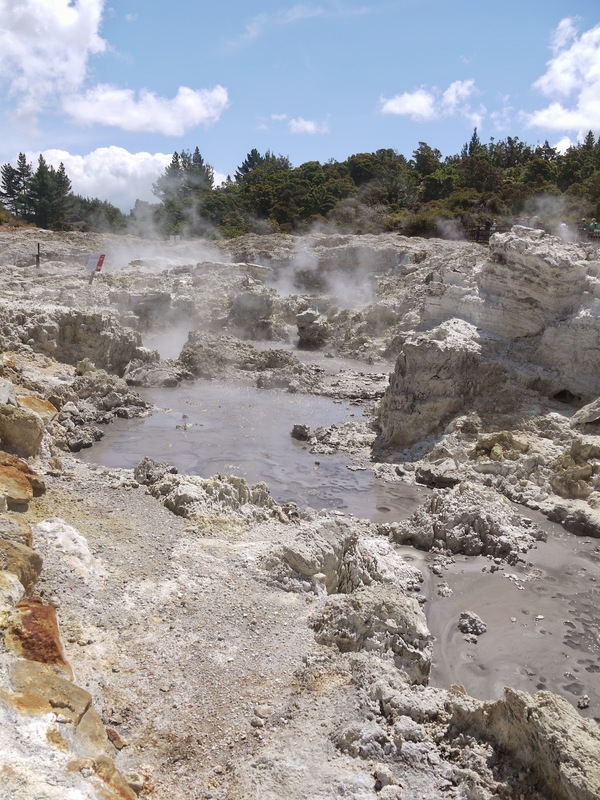 We were rewarded with boiling pools of black mud, spouting jets of steam, hot hot lakes and waterfalls we were allowed to touch with our hands, and finally a very hot mud bath for the feet. Such a strange strange place and landscape. Then all too soon it was time for my mum to go on to Australia for a holiday with her sister, and for us to leave this lovely house and start our camper van adventure around New Zealand. About which I was very scared. When reading the following, do please remember, dear reader, that I had never slept a single night in a camper van before in my life. I still haven't slept a single night in a tent, and frankly I intend to keep it that way if at all possible. Don't judge me. Alright, judge me if you like, I don't care, I still don't want to sleep in a tent! 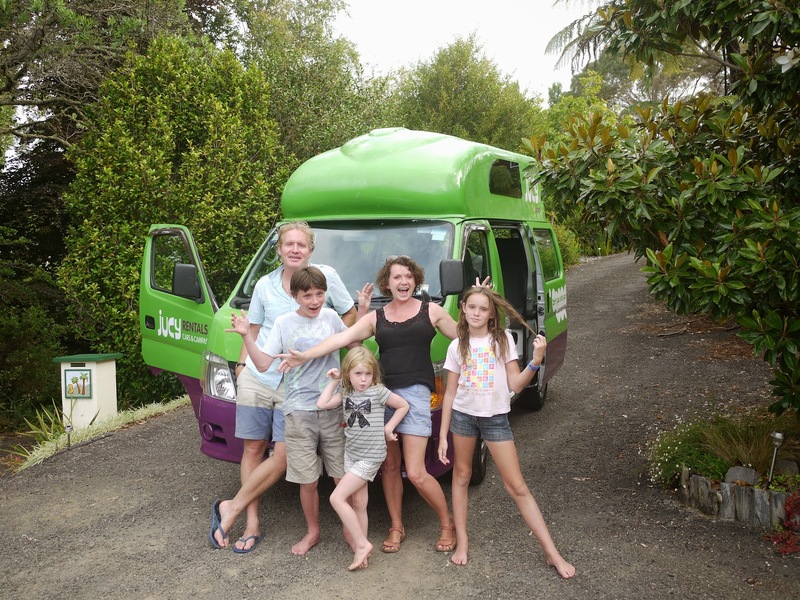 I picked up the camper van from Auckland airport (which meant a 4 hour drive up there, and a 4 hour drive back...) and it was great fun! Just like it looked in the pictures, a great big bright purple and green affair with a sweet little kitchen and gas stove, folding contraptions to create a double bed at the bottom, and a double bed at the top, and a toilet about which the least said the better. The only good thing to say about it is that we resolved never to use it, and kept to our resolve. It felt quite big to drive but after a few gos around the carpark with it (partly to get used to its size, and partly because I couldn't find the exit..) I felt confident enough to take it on actual roads. Then I found it had a great stereo system which my phone plugged into with its full spotify playlist available offline and I was off! 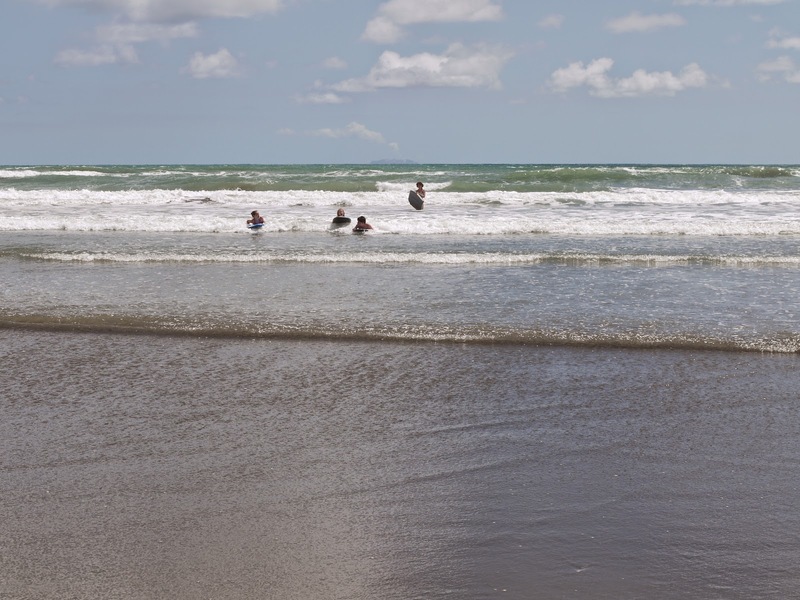 For our first two nights we stayed at the Ohope Sand and Surf campsite, in order that we start ourselves off easy with somewhere nearby Tamsin and family, and where we know where the shops are etc. In retrospect this was a mistake. This was the first campsite I had ever, ever, stayed in. And it was so much more horrible than I had thought it would be! It was not only the shower block being so far away, and being as it was, it was above all that we were utterly cheek by jowl with thousands of other campers, with all their plastic tents and other unmentionables. Also, although we had borrowed a tent for Joe to sleep in, we had Poppy and Rosie sleeping above us in the top double bed. Never again, it was bad enough trying to get to sleep with the camper van to ourselves, but with them wriggling around up top it was awful. We bought a tent for them the very next day. In fact, fortunately, that campsite was not a sign of things to come, because it was by far the busiest of any we subsequently stayed in, and although it had a great location near the beach, our site was quite a walk past other people's washing lines and other assorted squalor to the beach, because the site was so big. It was a "Top 10" holiday park, which meant it was full of activities for kids, and so was full of screaming kids. No more of these holiday park type campsites I resolved. Which all in all was a bit of a shame for the kids because of course they absolutely loved it. There were trampolines galore, swimming pools and slides, massive jumping pillows, facepainting etc etc in short, everything a kid desires. Hey ho, we pay for this trip not them! They will like small intimate campsites in the middle of nature too, I justified to myself, and in fact they did. 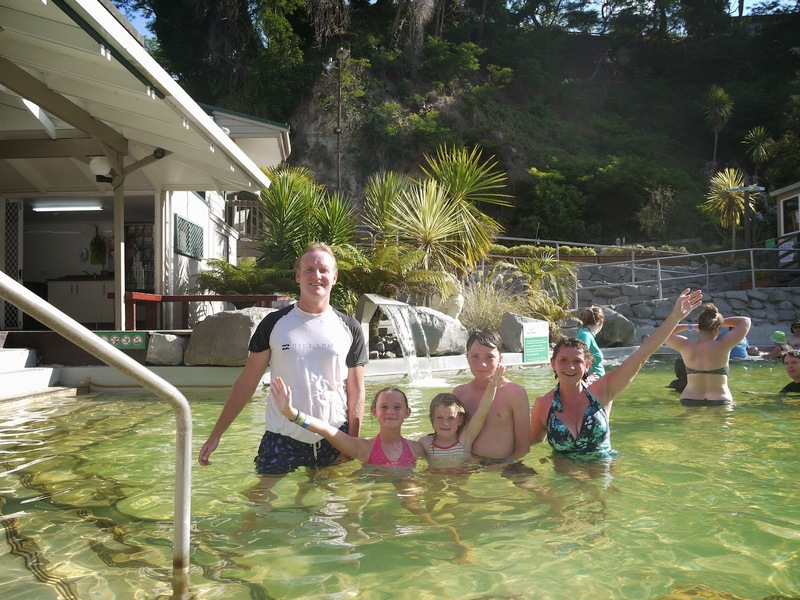 Our next stop was at the best campsite ever - De Bretts Taupo Spa Resort, so called because it had on site not just the usual trampolines and jumping pillows, but also hot pools to die for - hot pools with hot slides into them! And a hot water playground for kids to play in. It was amazing! Like Aqualand but with hot water! OMGGGGGG! It was so awesome! There was the hot pool which was lovely, with an amazing lie back jacuzzi bit. Then the very hot pool with spouts to massage your back which was super amazing. Then the cooler pools which you had to go in when you got too hot. Then there were the slides.... The orange one was purely terrifying - all enclosed, dark, and hot. I never went in it by choice after Joe got me in there the first time under false pretences - "this is the most fun one" Yeah right. Then the blue one, which was long and quite scary. Then the dragon slide, which was just great - so so fun! There was also the warm water playground which was so fun for Rosie. We went between all the pools, and the slides having great fun. The only downer was that Rosie wasn't big enough to do the slides, until Joe suddenly decided she was and so we let her on and none of the staff stopped her - she loved them too! Hooray! We all had the most terrific fun. Then on to Napier, a pretty Art Deco town in the Hawkes Bay wine region, here we indulged in our first winery - Crab Farm Wines. It was just next to the pleasant campsite, which was right next to the beach, and so Danny and I went over to the winery leaving kids trampolining for Britain in the campsite and had a glass or two of wine. Is it just holiday effect, and having escaped the children for 30 minutes? Or did the wine truly taste absolutely delicious? From Napier we drove hundreds of km in one day down to Wellington where we spent a couple of nights at a ghastly motel campsite just outside town. But if the campsite was ghastly, Wellington was nice. Joe's 13th birthday evening was spent in a great pizza restaurant on the lovely quay, looking out to sea, and just outside a fabulous playground. 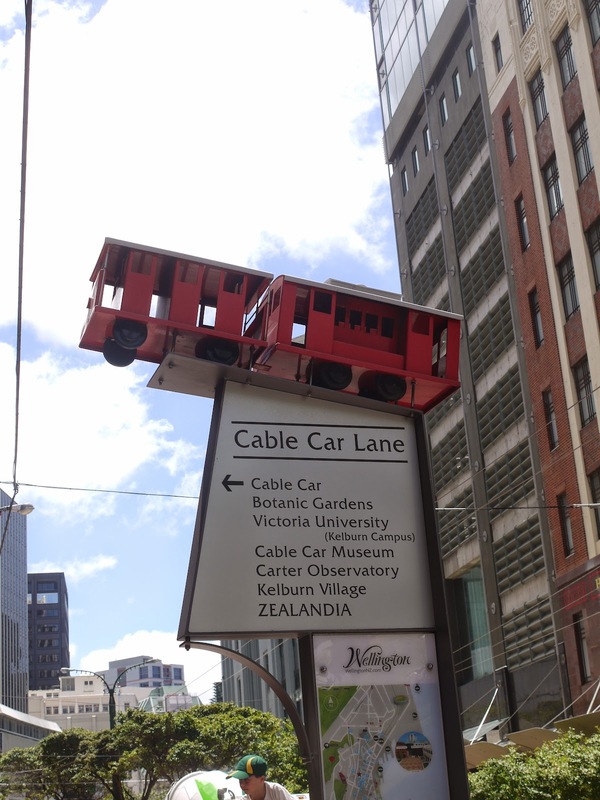 For our day out in Wellington we went first to the cable car station and had run riding the short ride to the top of Wellington. Then a quick (belated) lunch in the cable car cafe with stunning views down to town. 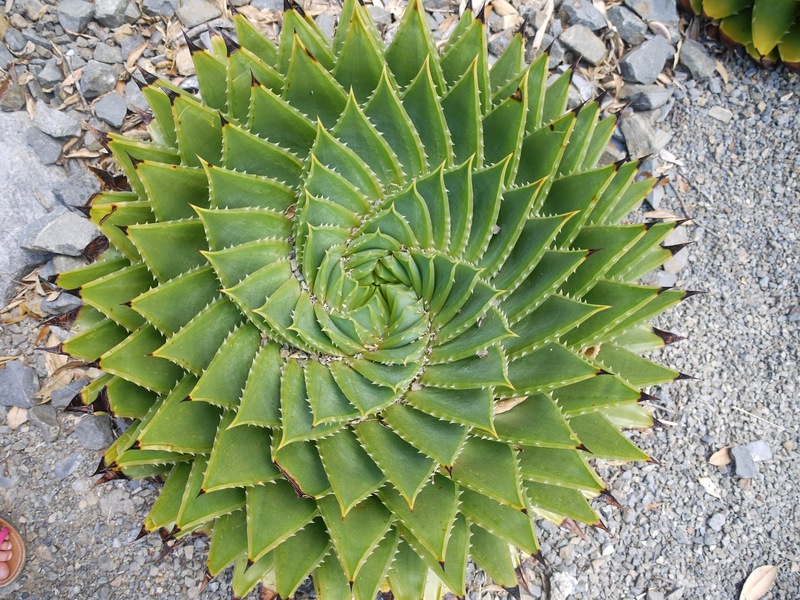 Then a lovely walk down into town through the botanic gardens, via quick zip wires for kids in a playground, past an amazing hydrangas display, monkey puzzles, and hundreds of other beautiful flora. Down in town we had an appointment with the museum to see the giant squid. We went into the Wellington museum which was a very good museum, with loads of interactive displays for the kids, about a fairly dull subject, the history of the small uneventful city of Wellington. And no giant squid. It turns out that was in the other museum! Te papa. So over to there we skipped and saw the giant squid, and a whole host of other marine life in stuffed or plastic form. We could have spent longer, but the hot day wouldn't last forever and we needed to get back in order to cook dinner, take down a tent, and prepare for us and the girls to sleep in the top deck of Lucy tonight, all before it got dark, because tomorrow was to be a very early start. 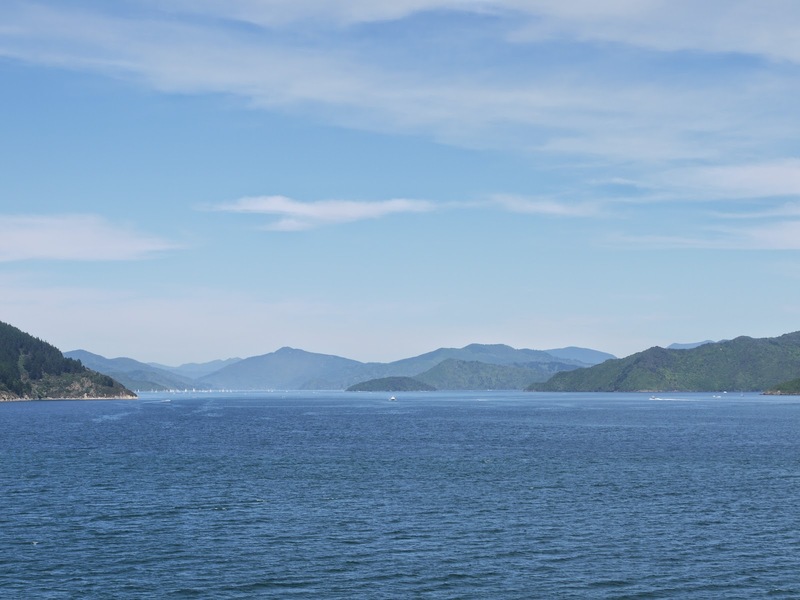 Next day we took the Interislander ferry to South Island - what an absolutely beautiful ferry crossing. 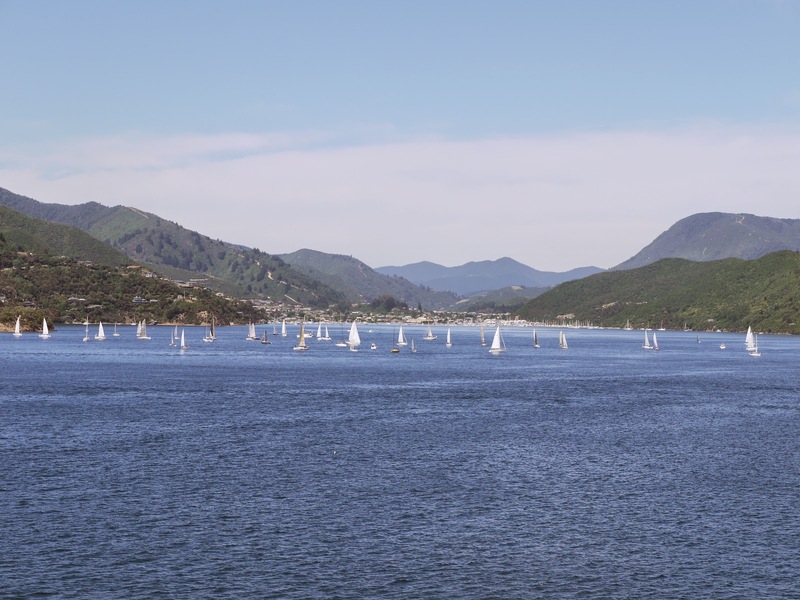 We arrived in Picton to a hot day after such a cold morning getting tents down and packing up from 6am, and then such a windy and cold time outside on deck, and found that Picton is so very pretty. Little white sailing boats dotting the bright blue sea, pretty wooded hills all around, with island cliffs rising out from the sea with boats appearing around the far sides. 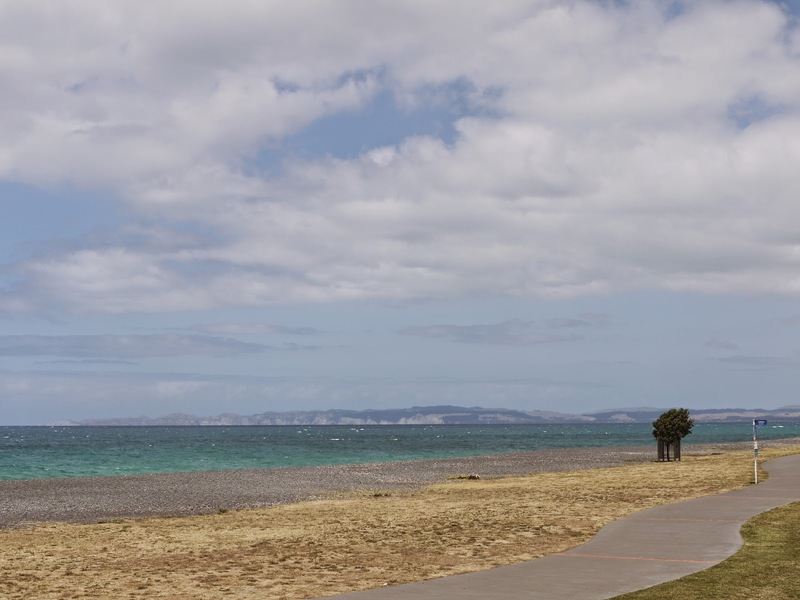 A very short drive to the campsite I had booked, Waikawa Holiday Park, to find that it is small, quiet, in the middle of fields with hills behind, just a few minutes walk to the beautiful sea, and very cheap at only $54 (£26) for 2 nights for all of us, the camper and the tents. 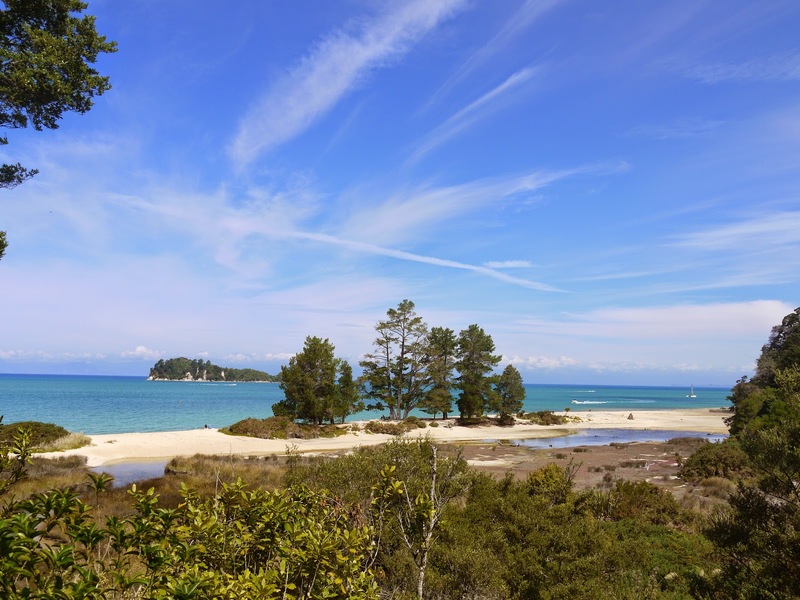 We woke up the next morning to realise what a truly lovely campsite this is - quiet, birdsong all around, views to the sea and the islands of the Sounds, and backed by hills with native bush. Beautiful. If only I slept better in our camper.... We have taken to calling her Lucy (because the campervan brand name is Jucy) and are growing very fond of her - but my fondness for her is only in the daytimes as far as I am concerned! 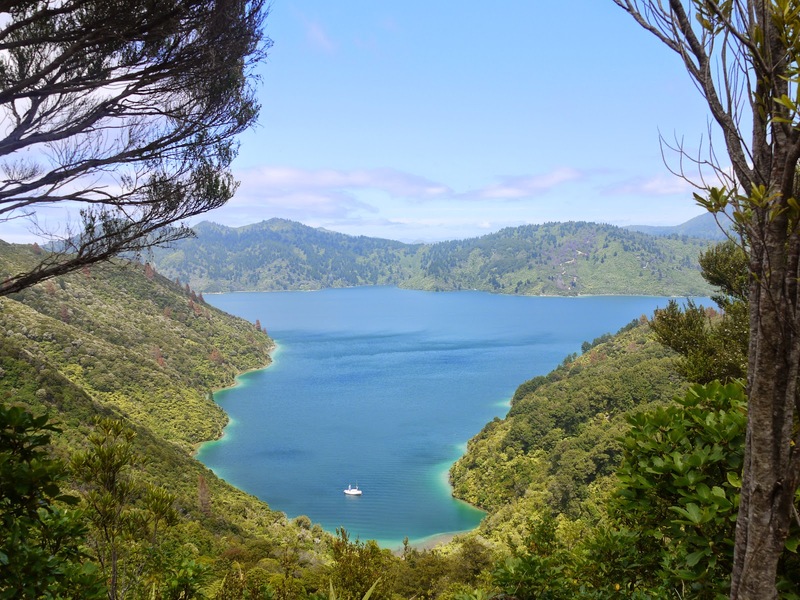 Next day at 9am we were off on a catarmaran speeding through the completely beautiful Queen Charlotte Sounds in full gorgeous sun going past beautiful view after beautiful view with the bright blue sparkling sea all around. 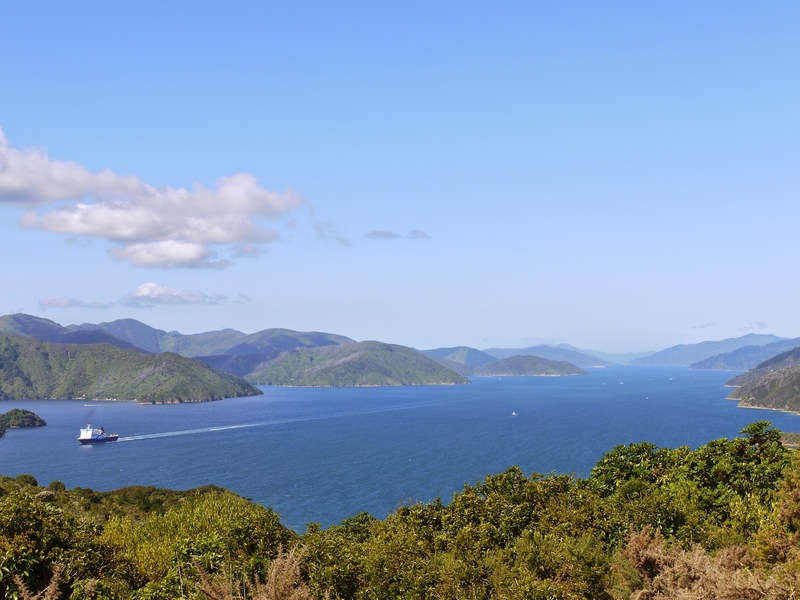 We arrived at Ship Cove where Captain Cook first met the Maoris of New Zealand and traded with them. The nature reserve extends right across this area and so the cove will have hardly changed in sight since then, a remarkable place to stand and take in the history. We then walked the 15km on a clear track through miles of native bush with occasional beautiful sea views to keep us going. 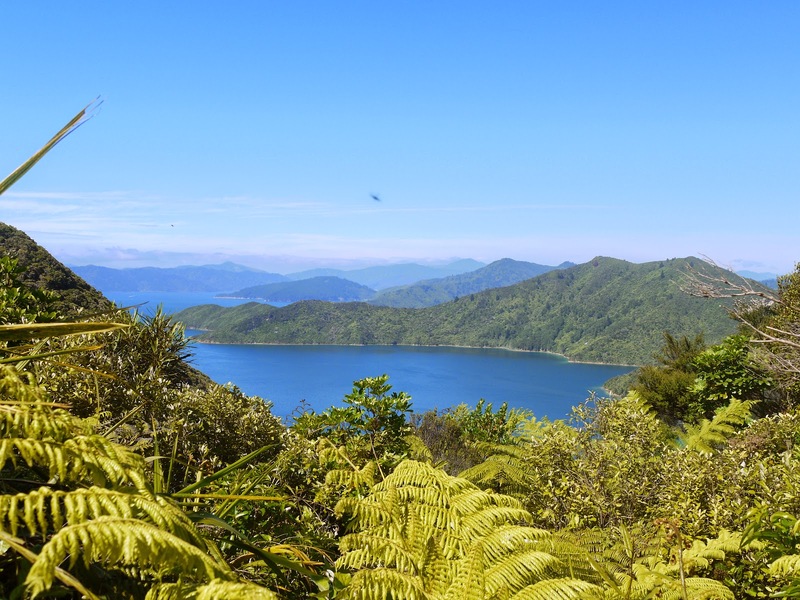 Next day the walk along the "Snout" track from Picton to Queen Charlotte Lookout and beyond to the end of the Snout was even more enjoyable. This was a beautiful beautiful walk with stunning views for most of the way, and the views at the very end of the Snout are truly spectacular. Absolutely glorious weather, clear blue sky, just a few clouds to make the view even better, islands covered in beautiful variegated bush woodland, and the bright blue sparkling sea all around, dotted with boats. Truly stunning. 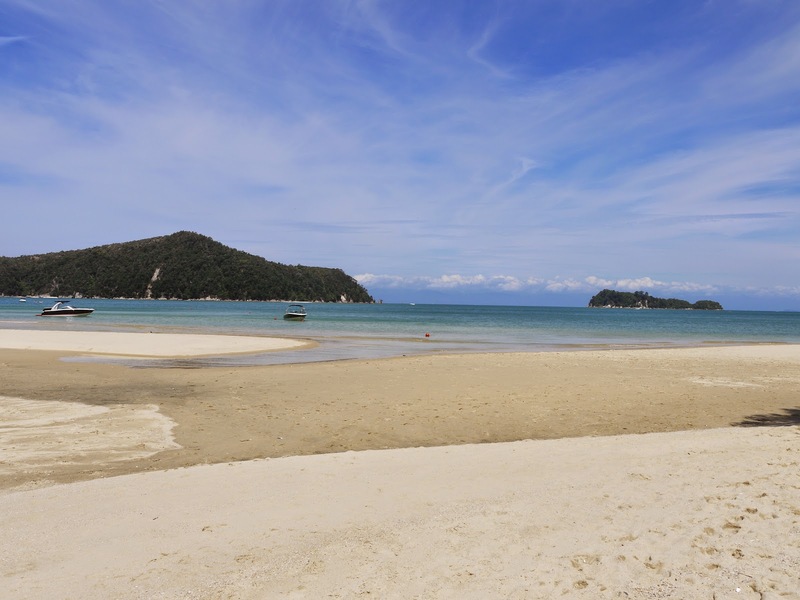 Next we had an appointment with the Abel Tasman national park. To get there we took the beautiful coastal road, which wound up and down cliffs giving the most superb views of the Sounds, beaches and secluded coves. We stayed at a dusty campsite in Maherau which was entirely full despite its dust, and next day set off to take a water taxi to Anchorage Bay from which we were going to walk back. The water taxi is attached to a tractor for driving the boat out during low tide - great fun! It was a little boat, about 12 people, and we joggled about as the tractor, with enormous wheels, drove out onto the sand and through the giant pools on the beach, until the boat reversed into the water and then was launched. We were off! 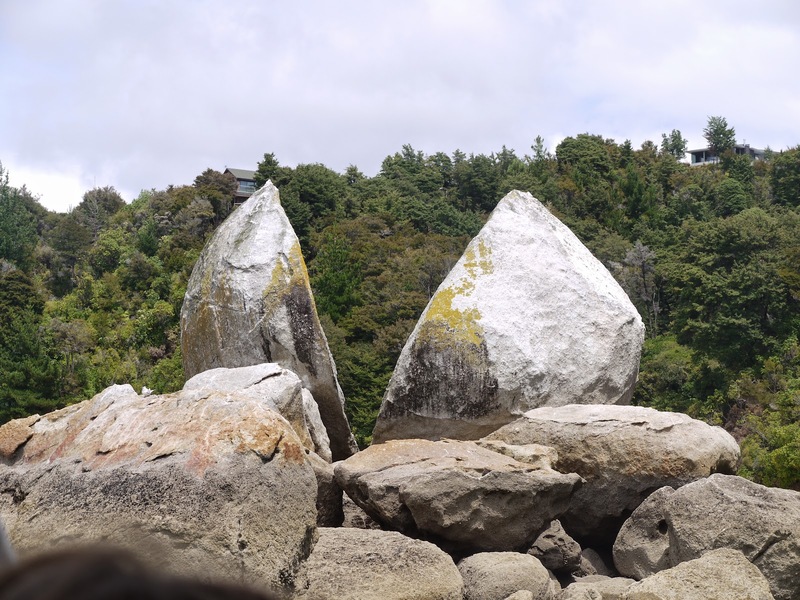 We went first south several minutes to see the phenomenon of Split Apple Rock - a giant rock in the sea split into two. And then up north past a whole host of bays to Anchorage Bay. Were were really going to walk back all this way!!! Yes apparently we were. The sign said 12.2 km, but it was in fact further to our campsite, more like 13.5km, and we all managed it with almost no whining. If you discount the fact that I had to spend most of the way playing absurd alphabet games with Rosie and Poppy, and then slightly more interesting games of Where am I Hiding with Joe and Poppy while Rosie complained. If you also ignore my whining about the constant Lack of Views!! A coastal walk in Britain tends to take you along the coast, with views almost all of the way. The walks here seem to specialise in walks along dusty tracks that you could do in flip flops (although some people do them in boots, no idea why, maybe they help counter the dust at least) entirely through native bush, with about 3 chances every five miles for a view at the most exquisite turquoise bays, sparkling seas with islands beyond. It was enjoyable enough, with some lovely native bush, obviously, and at times a nice small path. And when you dropped down to the beaches you were rewarded with truly stunning bays - golden sand, turquoise sea. Very busy though! Lots of people on all the beaches, as well as a bunch on the path, clanking along in their climbing boots. Hashtag could have done it in flip flops. Hey ho. 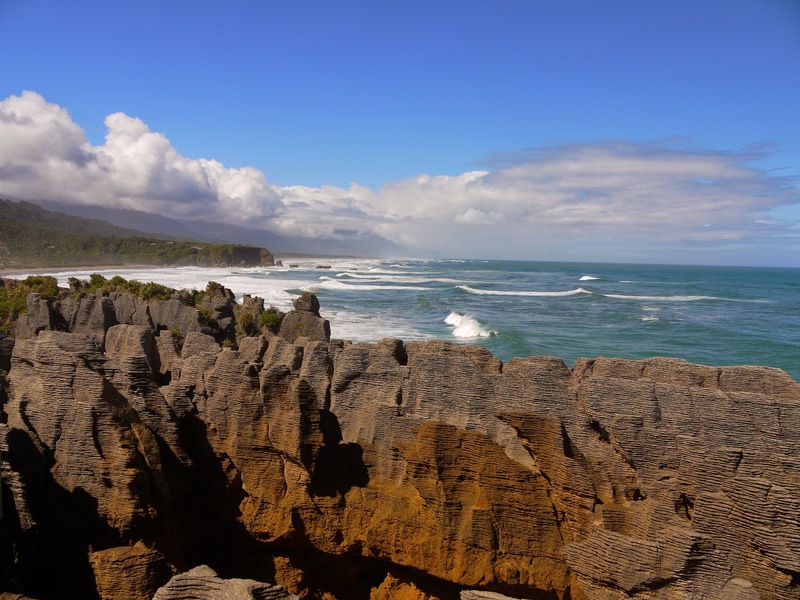 Next stop Punakaiki, home of the famous "pancake rocks", which are purely terrific. It had been very well organised - a good example of making an area wheelchair accessible. A perfect walk around the edge of the coast with fabulous views of the pancake stack rocks. We realised that last night, with the stormy conditions, there would probably have been fabulous smashings and crashings of waves, but it would also have been terrifically cold, wet, and miserable. 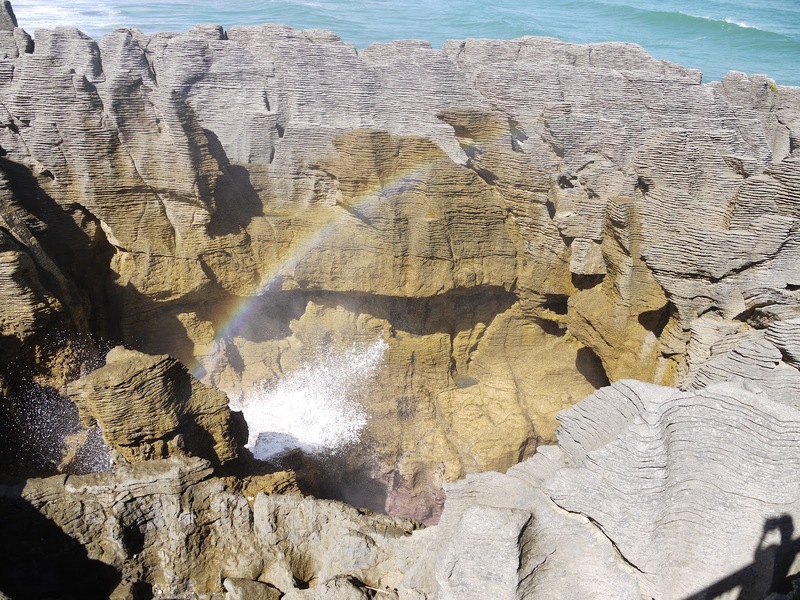 As it was we heard the boom of the sea, saw the great waves smash into the weird rock formations, and saw rainbows of spray thrown high up into the air from the comfort of a lovely sunny day. Still a great crashing sea, and great rocks, and also blue sky. The views along the coast all around are spectacular. Incredible bays and rock stacks with great surf seas powering into them. Absolutely stunning. And meanwhile on the non-sea side of the road there real rainforest reaching right down to the road. And then the very verge of the road is populated with beautiful English-looking wild flowers - dandelions, cow parsley etc. So pretty. When the road goes past a house the road verge is a mass of colour - of blue agapanthus, white agapanthus, and bright orange canna lilies. Truly beautiful beautiful scenery and landscape. We headed for a campsite we had seen a sign to by Point Elizabeth near the town of Greymouth which we thought might have a good sea aspect. 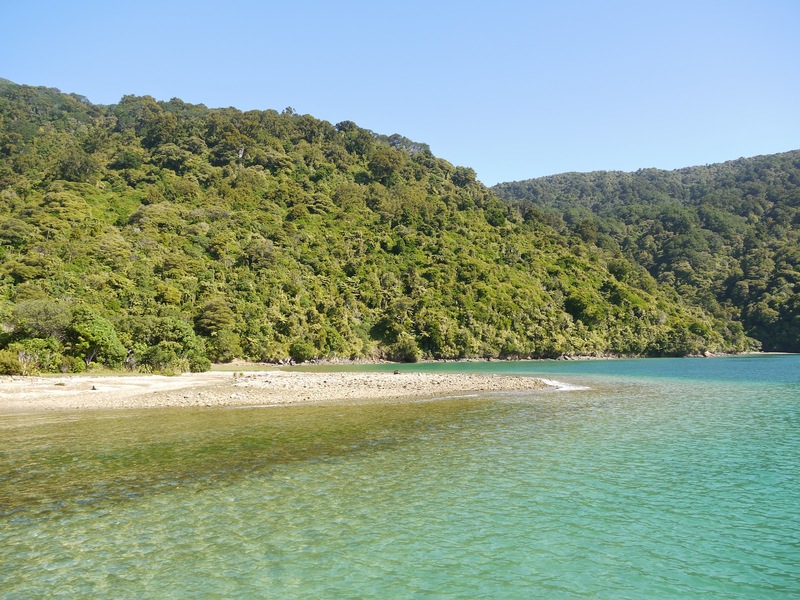 The campsite at the tiny village of Rapahoe turned out to be even more incredible than we had thought. There is only a hedge with a small walkway through the bower of leaves between us and the most incredible sweep of bay, with the most extraordinary surf seas. Wow. Truly spectacular. On the way back up to the top of South Island to take the ferry back to North Island we made two wonderful stops, firstly at Cable Bay - a bay where at low tide there are miles of mud flats around "islands" before a pedestrian dam, but at low tide the green sea sweeps in making the most incredible views. We stayed at a beautiful campsite there, but only for one night because unfortunately it was also midge city - unbearable numbers of sand flies constantly attacking all of us, and especially Poppy. 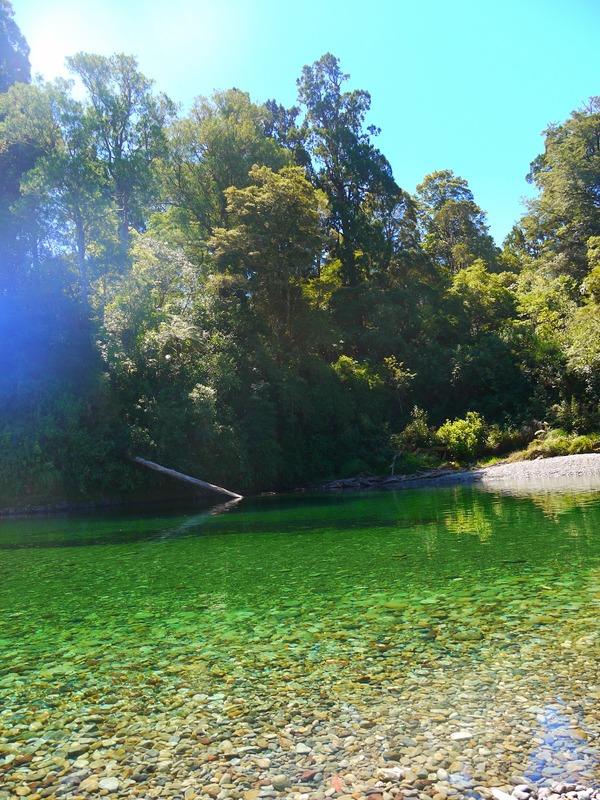 Our second stop was at the incredibly beautiful almost luminous green water of the Pelorus river where we swam in the extraordinarily clear water, and found that it was the scene in the Hobbit where the hobbits escape from the Orcs by hiding in barrels. Indeed, this particular stretch of this particular river was where Peter Jackson came as a holidaying 11 year old and was so bowled over by its beauty that when he came to think of film locations for The Lord of the Rings and Hobbit films it was this scene that inspired him to think of New Zealand. I can exactly see why. Then we returned to picturesque Picton and this time did a walk to the completely beautiful Bob's Bay - the sea was an incredible turquoise blue/ green, with water so clear that you could see your shadow along the bottom of the sea as you swam, and the view of the lush multi layered native bush was gorgeous. Of course we never saw the underbelly of New Zealand. 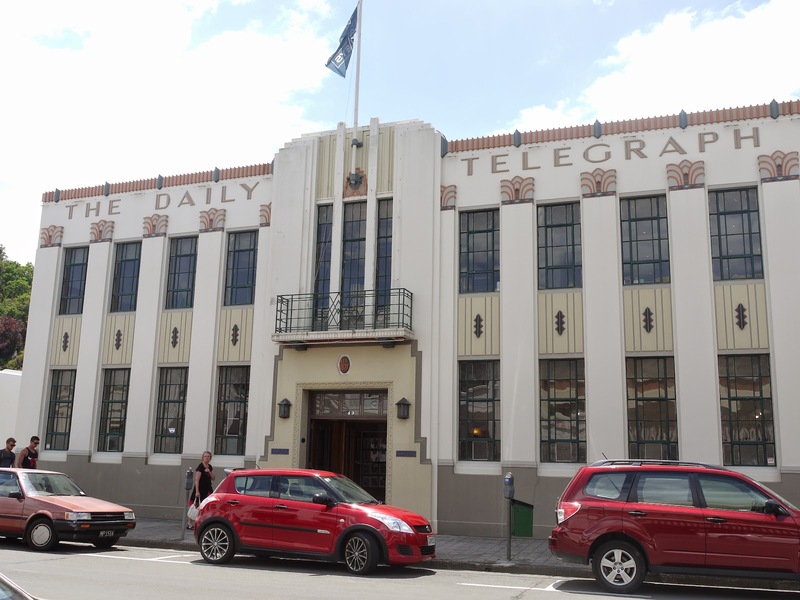 We did listen to a lot of talk radio and the main problems there being aired were of a lack of affordable social housing in Auckland and a PPI budget overrun for a convention centre. Not exactly sounding like a society going to wrack and ruin. But my sister-in-law heads up the A&E department of Whakatane she sees more of the social problems than we do - things like Maori tribe members with extraordinary names like Anthrax Hog (name changed on grounds of medical confidentiality, but the original is neither more nor less absurd) smashing up their motorbikes, again, and needing to be sewn up once more. What we saw, with the 40% Maori population of Whakatane, was a society far far more integrated and inclusive of their native minority than is the case in Australia. The comparison between the two countries in this regard is stark. 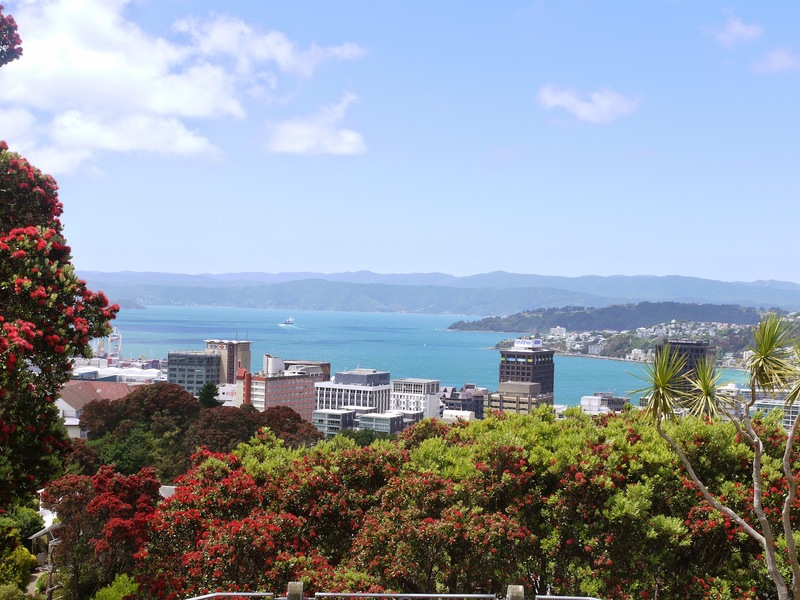 But in the meantime as far as we are concerned the biggest problem with New Zealand is that what keeps Switzerland perfect is of course that it is so goddamn expensive to be there, but what keeps New Zealand perfect is that it is of course so goddamn expensive to get there! So, it is with much regret that I have to accept that when our family budget could stretch to us returning to this beautiful beautiful place, I just don't know. Ah New Zealand. So close to heaven, but so far away from everywhere else!